How do you choose between crusty, hearth-baked breads and buttery, handmade pastries? Easy—choose both. 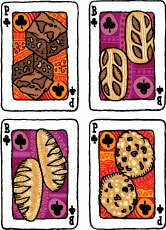 Each month we’ll ship a loaf of Zingerman’s Bakehouse bread accompanied by a Zingerman’s Bakehouse pastry or three.